A collection of 23 awards were handed out to partners at Cisco Live 2016 in Melbourne. Australian and New Zealand partners were recognised across categories for innovation, leadership and achievement. 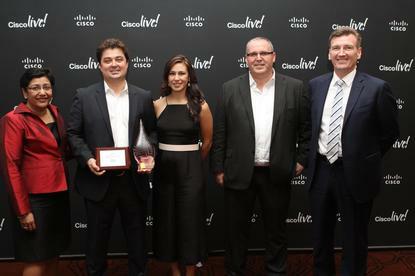 Telstra took out Cisco’s Innovation Partner of the Year and Cloud Partner of the Year, while Dimension Data scooped Cisco Capital Partner of the Year. Optus Business also snagged three awards – Community Contribution, Service Partner and Cloud Excellence Partner of the Year. UXC Connect took home the Sales Partnership of the Year. “Cisco is committed to working closely with its partners and collaborating to develop our businesses,” Cisco A/NZ partner business group director, Jason Brouwers, said. Datacom were also dual award winners taking out New Zealand Partner of the Year and Managed Services Partner of the Year. Dicker Data scored the Distribution Partner of the Year.